Do y'all want more of the Jigga man? 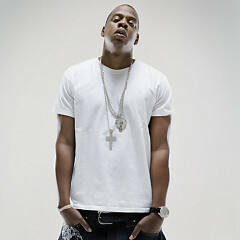 Say Hova, c'mon say it! Are y'all out there? C'mon, louder! They love you Jigga - they love you Jigga! It's so muh'*in soulful man! Well * it, I ain't budgin! Send Hip a grip, then you gotta spit. . .
A little somethin like this, WOO!